It’s the weekend and you wake up knowing you need to study today but it’s so hard to drag yourself out of your cosy cocoon of a bed. You get up begrudgingly, head downstairs, make breakfast and move to the sofa. Suddenly half the day has disappeared and you’re five episodes deep into The Sinner on Netflix with no motivation to stop. 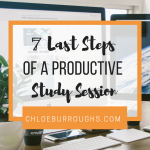 An increasing feeling of guilt has settled on you as your dreams of a productive study day slip away. “What’s the point?” you think. You had a grand plan for your day and it’s ruined. 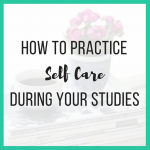 Even if you started studying right this second you wouldn’t get everything done so you might as well just relax, accept that it’s a bad study day and just study tomorrow, right? 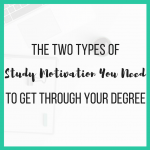 It’s easy to get sucked into this what’s-the-point mentality, but you CAN change the direction your day is heading in and turn a bad study day into a great one. If you get lost on a walk you don’t just keep going because there’s no point trying to find the destination you want. Instead you stop and look at a map or ask for directions before going off on a more effective path. This happens to me A LOT! Even more so now I’m working for myself. I have an idea of the time I want to start working and the tasks I want to achieve…but crap happens and my plan goes to poop. Just yesterday I was annoyed at myself because it was 5pm and I’d only written 950 words of my book that day – my goal was 3,000! I was so tempted to sack it off, make dinner and then complete series 2 of The Sinner (it’s so good!). But I didn’t. I chose to restart my day there and then and move forwards in a different direction. I’m so glad I did because I ended the day on 3,043 words with a big, fat smile on my face. I often feel unmotivated and I often realise I’m being unproductive. But I’m successful because I transform a bad study day by turning a new page. At school I used to LOVE getting a new exercise book in class. It always felt like a fresh start and I was excited to start it well in my neatest handwriting. It didn’t matter what came before, what mattered was what I was going to do now. I love this quote because it gives you permission and power at the same time. 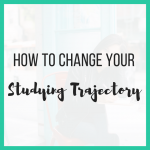 It gives you permission to forgive yourself for a bad study day but it also reminds you of the power you have to change your situation. Once you realise you can be better, and you know the steps to take, you should use them to do better next time. Being a successful student isn’t about getting it right all the time. It’s about noticing when it’s not right and then taking action to change. Being successful isn’t about never having a bad study day. It’s about noticing when you’re going in the wrong direction…and actually doing something about it. 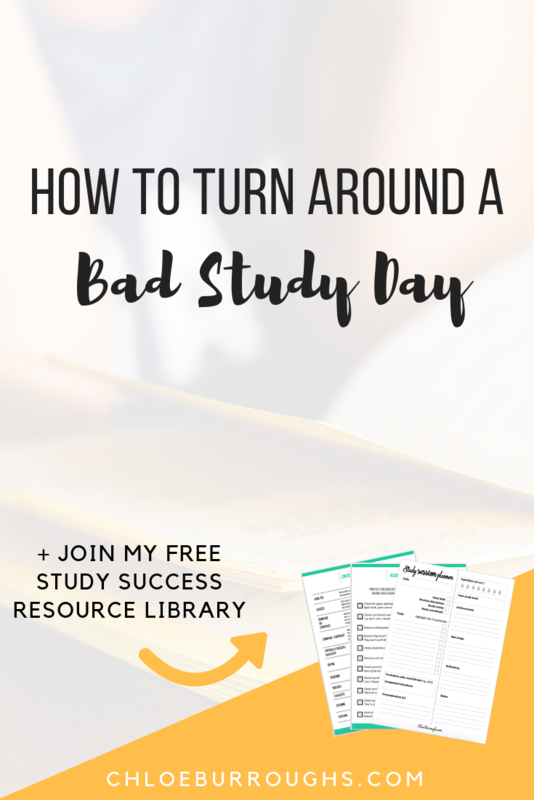 Starting down the path of a bad study day is not an excuse to stay on that road. 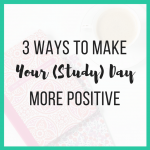 So now I want to share with you my simple but powerful tips to turn around a bad study day so you can clock off with progress made and a cheesy, proud grin on your face. To break out of an unmotivated funk it’s important to disrupt your pattern. Instead of forcing yourself to go from the sofa to your desk, just dig deep for the energy to do something different first. Get up and drink a large glass of cold water, do the washing up, go for a super quick walk, dance around to your favourite song. Do something small to change your state and shake off that lethargy and you’ll find it a lot easier to get to your desk. It’s a lot harder to let down other people than let down yourself. To make it harder to continue a bad study day, tell a friend or family member that you’re turning over a new page, you’re going to start studying and you’re going to accomplish X (insert study task here) by Y (time). If you want accountability from me – send me a DM on Instagram (chloe.burroughs) with the above message and once I’ve read it I’ll check up on you to make sure you’ve turned over a new page. 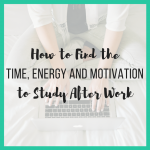 When we don’t want to study it’s effective to ease ourselves in with a quick win. Pick a simple, quick study task you can complete first because the act of checking it off is a great motivator. When we see ourselves making progress we feel encouraged to keep going. This last half-step is the most important. You’ve worked out you’re going in the wrong direction and you’ve got the tools – so now it’s time to start. Do as Maya Angelou says and do better because you now know better. 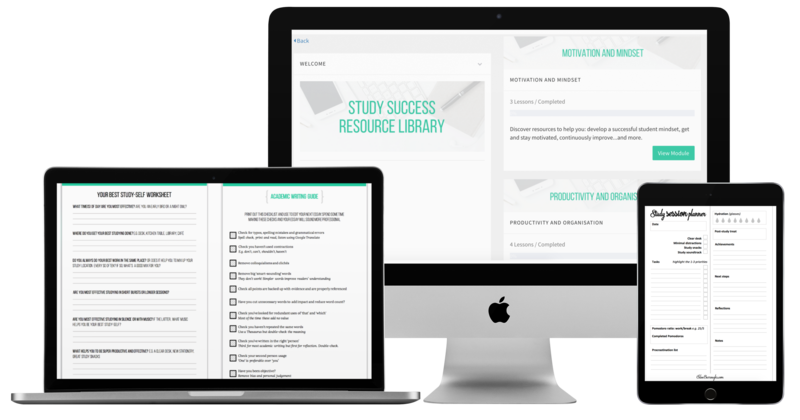 If you've enjoyed this post, please share it and don't forget to sign up to my free studying resource library.